Email and in-app notifications for Method Grid activity have featured in one form or another since the good old beta days. 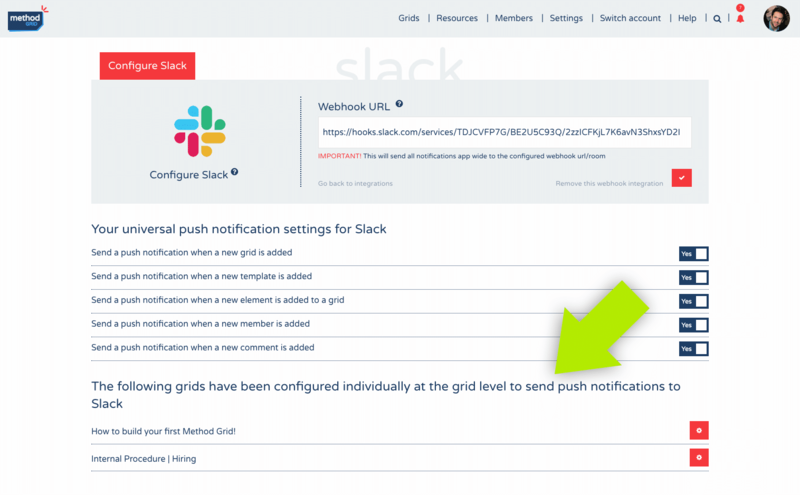 The ability to control whether you receive an email or in-app notification when a new grid, element, element template, member or comment is added is nothing particularly new; however, with this exciting new release (for our paid/professional plan users – the first in our API development roadmap), we are introducing the power to configure push notifications (incoming webhooks or bots – whichever terminology you prefer) to Slack, Google Chat and MS Teams. This new functionality is available for Architects to integrate and can be configured as one universal Method Grid domain webhook or to grid specific webhooks. 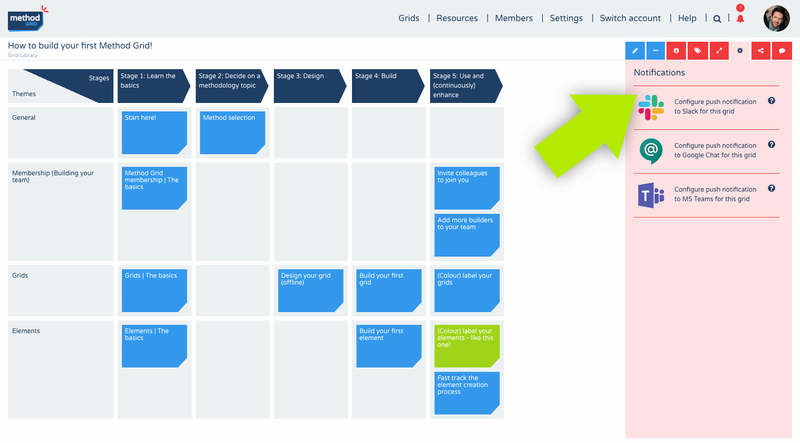 Applied either universally, or to specific grids, this integration pushes relevant activity notification (e.g. new grid, element, element template, member or comments) out to your team’s Slack, Google Chat or MS Teams accounts. 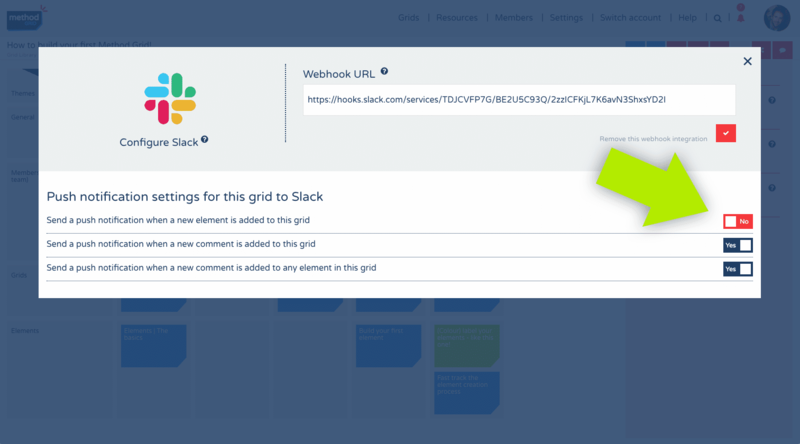 Below follows an overview of how the new Method Grid webhook functionality works. 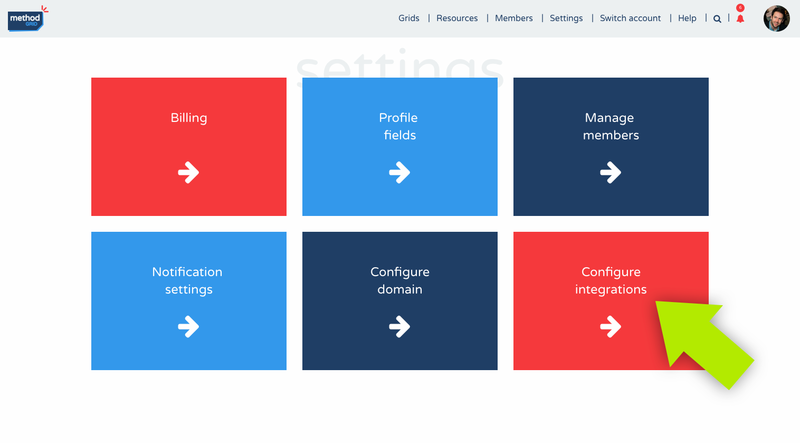 Configure integrations settings are found on the Settings page (Architects only). Once in the Configure integrations area select which chat app you want to configure. It could be all three. 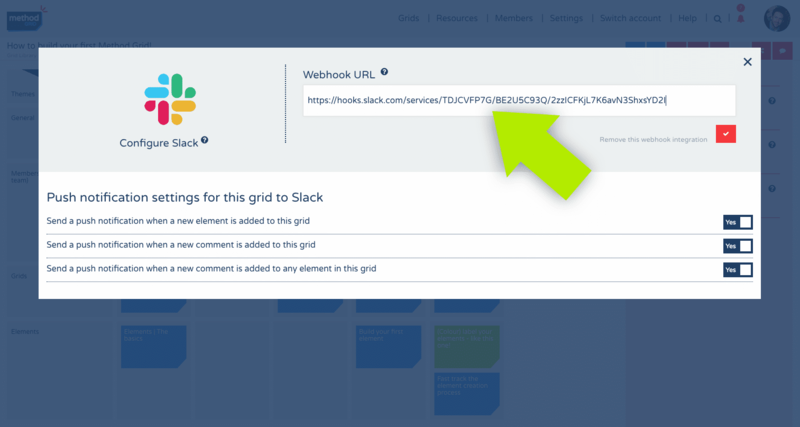 Using Slack as the example, paste in the webhook you have created via the Slack app and then click the tick. A message will pop up in the bottom right of the screen informing you that your integration settings have been saved. You can control which notifications are distributed via the Yes/No switches. To remove a integrated webhook, simply click the ‘Remove this webhook integration’ and you see the field is reset and the another green success message will appear in the bottom right of the screen. Look for the new cog in the action button bar. This reveals the chat apps that can be configured. Select whichever is required, again all three can be done if required. The integration process here works in the same way as the universal setting. Simply paste in the webhook created via Slack (in this example) into the field and click the tick. Control which notifications are sent via the Yes/No switches. The options here vary to those in the universal settings and are limited to grid activity i.e. a new element or a new comment to the grid or any element in it. 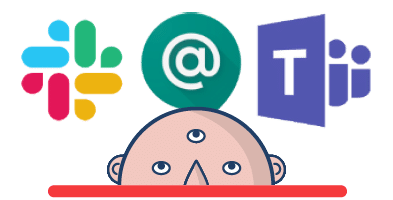 Remove the webhook by clicking the ‘Remove this webhook integration’. You will be returned to the grid and a green success message will appear in the bottom right of the screen. Any grids that have been individually configured also appear on the universal settings page. If you click any of the cogs, the associated modal will be triggered and you can alter the grid’s settings without having to navigate to the related grid. We hope you find this new feature useful – the first in a series of third party app integrations we plan to add in coming months. Please let us know of any application integrations you would find particularly useful in this regard. Next up, access control, permissions and groups – the ability to control who can view and edit content in your domain.